Discussion in 'Luthier's Guitar & Bass Technical Discussion' started by Matthew Keplinger, May 9, 2016. I have a Decca DMI-203 in my possession that my father had abandoned since he is not much of a guitar player. I was considering doing some sort of restoration to it since I enjoy the more funky looking Japanese guitars from back in the 60s and 70s. The big issue I'm having though is identifying how the wiring fully works and how to fix it. There's this large set of 3 way rocker switches that turn the pickups on and off. I know they need replaced. But perhaps someone could help me figure this wiring out so I have some chance of returning this to former glory if not just updating it with new parts and wiring configs. 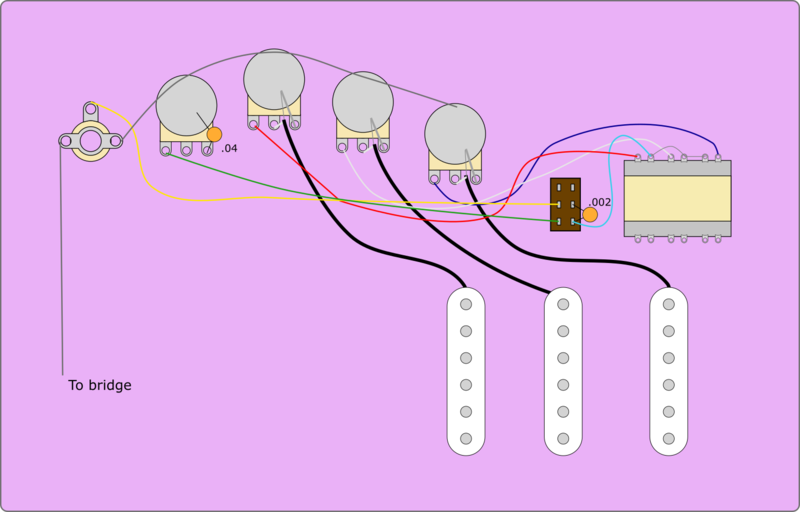 And here is the wiring mockup I made in Inkscape. If a little hard to follow, I'll see to making some sort of streamlined version.